My Wealth Solutions is a team built on core beliefs and values that have remained the same since our founding. Our story starts in Townsville, when our Founders and Directors and high school friends, Guy Freeman and Ben Budge, both unexpectedly lost their fathers at a young age. Both of their fathers were in their 40s when they passed away, leaving behind young families and a difficult financial situation. But while both Ben and Guy had humble beginnings, their personal experiences left them with a burning desire to help others secure their financial futures through effective planning to ensure that others wouldn’t have to face the same financial challenges they did. Deciding to follow their passion for financial planning and their desire to help others, both Ben and Guy moved to Brisbane and decided to pursue study in financial planning. Guy joined CUA’s financial planning department as a paraplanner while completing his studies. In this position, he learnt how to combine his personal experiences with practical financial strategies to help his clients achieve their goals. Guy then worked with a core group of clients – who remain with My Wealth Solutions today – as part of his own financial planning firm, all while furthering his education. Ben followed a similar path, maintaining his friendship with Guy as both worked on completing their financial planning studies. He then pursued his passion for leadership into the professional world as he built experience owning and managing a series of successful businesses. During their early careers, both Ben and Guy were exposed to large financial institutions who put their own agenda and goals above those of their clients. Disgusted by this practice, they were determined to create a team that did the opposite of this. This team would always put the goals and needs of their clients at the heart of every piece of advice or recommendation made. And so it was in 2011, two childhood friends from Townsville decided to combine their personal experiences and beliefs under one roof and form My Wealth Solutions. The goal was simple: to provide everyday families with access to financial advice that always put their best interests first. Originally operating from a home office, Ben and Guy quickly realised as they looked to the future that their needs would soon change. It was then they decided to move My Wealth Solutions into its Doggett Street location. While their business was growing, so too were their families. Their experience juggling a new family and a new business means that Guy and Ben understand first hand some of the challenges that everyday families experience. As My Wealth Solutions grew, Ben and Guy were on the lookout for a licensee that shared the same client-centric values and investment beliefs as they did. That’s when GPS Wealth reached out to the partners, offering decades of combined industry experience and guidance to a firm that they felt shared its values. 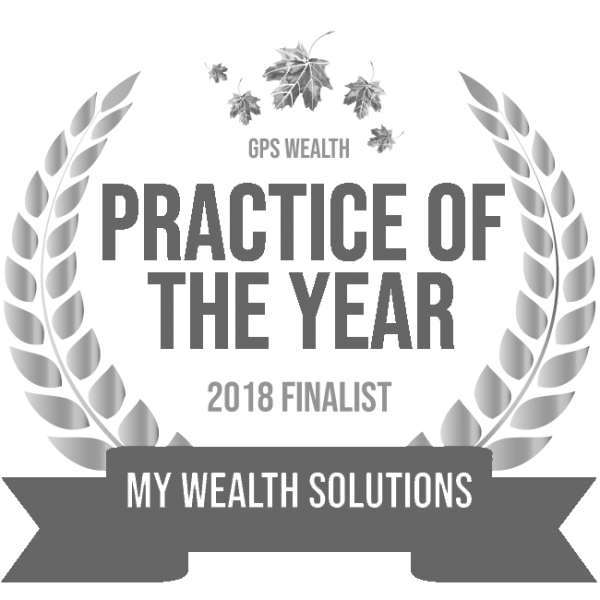 Guy and Ben joined the GPS Wealth network and gained access to expert mentors, client engagement tools, and business knowledge and acumen, all of which were instrumental in shaping the direction of the My Wealth Solutions we know today. From here, My Wealth Solutions only continued to grow. Starting from a two-man team in late 2011, My Wealth Solutions hired their third staff member in 2012. Another followed six months later, in May 2013. Then, by 2015 our team had doubled and has continued to grow ever since into the group of expert financial professionals you know today. And as our team was growing, so too was our professional partner network, which we draw upon today to ensure we’re able to help you tackle any financial challenge that comes your way. We’re not planning on slowing down anytime soon. As the My Wealth Solutions community continues to grow, so will our team. But, no matter what our exterior looks like or how big our team is, our fundamental beliefs and values, as well as our mission, will always remain as they were at our founding. My Wealth Solutions is here to help you build a bright and secure financial future, all while knowing you have financial experts in your corner who will always put your best interests first. Our aim: to provide everyday families with access to financial advice that always put their best interests first. Ready to take the next step on your journey to financial success and security? Creating your dream financial future has never been easier with a team of experts in your corner.